There is a new balloon in the Macy’s Thanksgiving Day Parade this morning and you must stop whatever you are doing this morning to watch. It’s Harold, the baseball player balloon, from Miracle on 34th Street, recreated for 2017. In black and white. 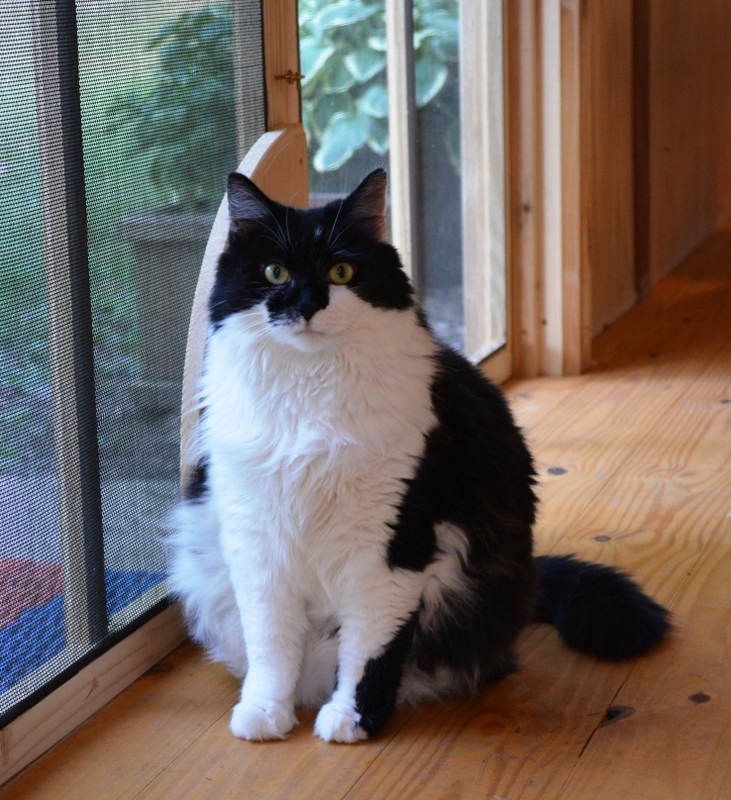 Could there be anything more wonderful, more perfect, more … more … well, everything? It’s a baseball player throwback balloon … in black and white! 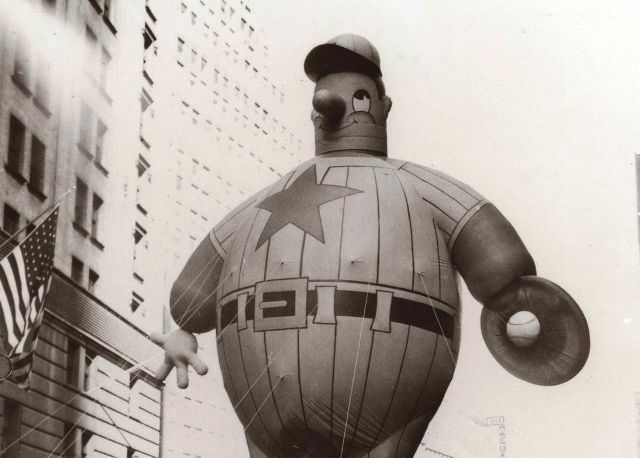 Here he is in the 1946 Macy’s Thanksgiving Parade. On this Thanksgiving, I hope that you have much to be thankful for. Including you. Those of you who stop by here … who comment … who agree that baseball isn’t too slow … who agree that box scores are best read in a newspaper spread out on a table, not on an iPhone (although in a pinch, that iPhone is going to have to do) … who cheer me up when the Orioles lose … you guys are great. I love that baseball has made us friends. I’m thankful for you! My dad and I always watched the Macy’s Parade together on TV. It was one of those magical things that we always did together. My dad died 11 years ago – on Thanksgiving Day. But, he would never want me to lose my love of the Macy’s Parade. So, I need you to do just one thing for me. Watch for Harold the Baseball Player today with me, would you? He’s the one in black-and-white. Here’s a little more about new-old Harold. There’s not a lot of baseball on Thanksgiving. It’s just turkey and football, isn’t it? Sure, maybe there’s someone, somewhere having a catch before dinner. But, finding a game – a real game – is hard to do on Thanksgiving. It was pretty much just turkey and football back in 1897, too. And, it’s been that way every Thanksgiving since. On Thanksgiving Day, the boys of St. Mary’s Industrial School – the school for truants, miscreants, and wayward boys located on the outskirts of Baltimore – mostly played football. But, a few of them played baseball that day. It was a dull and cloudy day, but the rain held off until after dark, so the day was fine enough for outdoor games. Thanksgiving 1897 was, for the 535 boys of St. Mary’s, “a delightful day,” The Baltimore Sun reported. 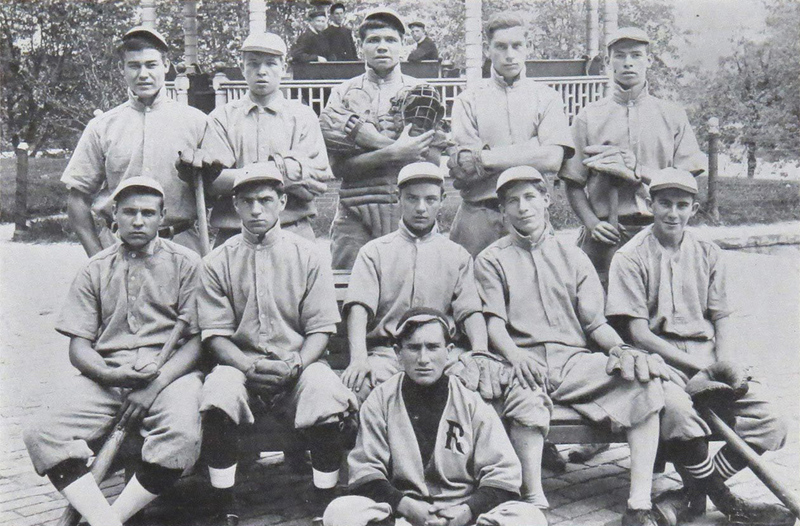 The school was still five years away from enrolling its most famous student – George (not-yet-Babe) Ruth who was committed to St. Mary’s by his parents for being incorrigible in 1902. 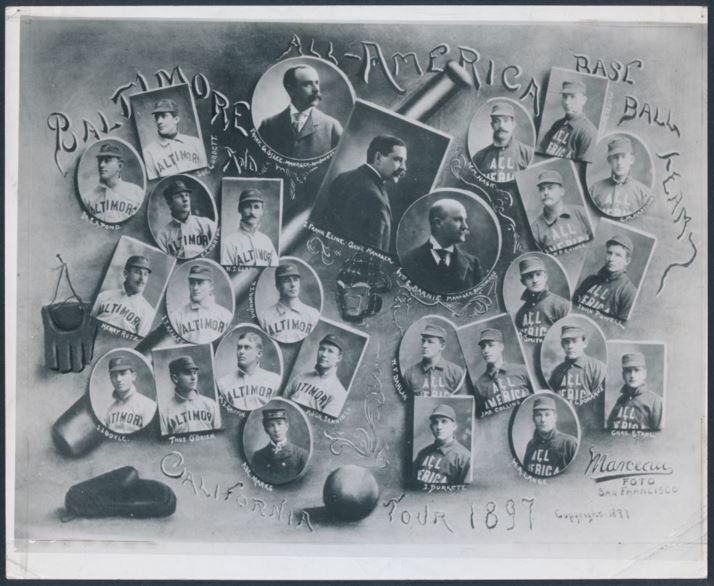 The Baltimore Orioles also played on Thanksgiving Day 1897. They had just finished their season in second place and were out on the West Coast on one of those barn-storming “all-star” tours that travelled through warm-weather states in the off-season as a way to make the owners some dough and help players make ends meet. 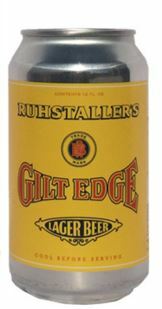 The Orioles spent their Thanksgiving being beaten 4-3 by the Sacramento Gilt Edges, a California League team. But for most Americans, Thanksgiving Day 1897 was a day for church-going (“services were most elaborate affairs, and in their magnitude and importance, were only surpassed by the Easter Festivals,” The Washington Post explained) … college football (the University of Virginia beat Carolina in the “South’s Oldest Rivalry” game, 12-0, wahoowa!) … and serving roast turkey dinners with all the usual trimmings to the poor, the infirm, the elderly, and the imprisoned. Thanksgiving Day back then, it seems, was less a day to count one’s own blessings, but instead was a day to help provide the less fortunate with a belly-filling meal for which they could be thankful. 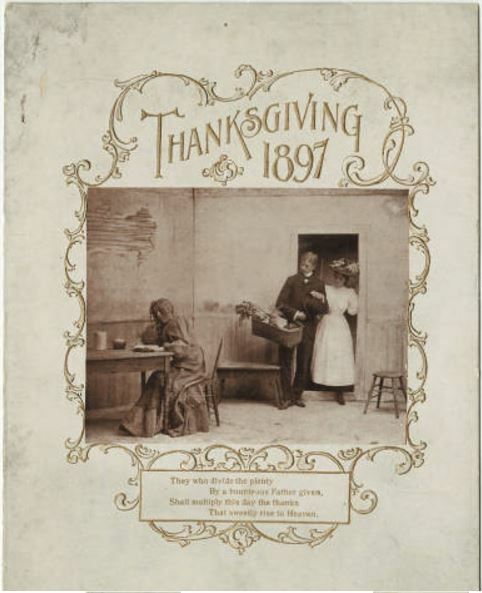 The Humphrey House, a Jamestown, New York hotel and restaurant, reminded its diners of the blessings of sharing a meal with the poor on their Thanksgiving Day menu. 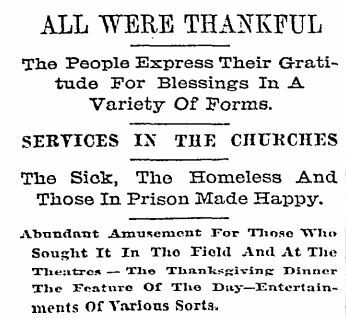 That’s how The Baltimore Sun described Thanksgiving Day 1897. May we all be becomingly thankful today, too.